They believe in human factors, and conduct usability test. They don’t let technology impact products and services in a negative way (gratuitous use of web 2.0 tools). They understand that a first page search engine ranking has more to do with high-quality content, and a superior user experience. Keep all these factors in mind, but I will only focus upon item number one, which is how do you figure out what your customer is doing when they are looking for your services. The following analysis of consumer search behavior is the first step in developing a world-class website strategy, and impacts the remaining steps. If you are in the business of recruiting talent, it is worth understanding how consumers are using search engines to find a job. When you analyze what the search behavior looks like when job seekers start their search, using the keyword phrase “Job Search Sites” – you find that behavior is focused in seven distinct categories. 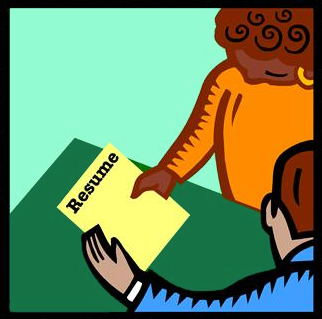 Job seekers start with informational searches using vague terms like Employment, Vacancies and Postings. This accounts for 62.7 million searches a month. They then start searching for jobs at the departmental level, using terms like Sales, Media, Accounting and Customer Service. This accounts for 53.5 million searches a month. The third type of search behavior has job seekers specifying jobs broadly by job type. Here you see them using terms like Part Time, New, Entry Level, Contract and Student. This accounts for 19.7 million search each month. The fourth type of search behavior has job seekers searching broadly by industry, using terms like Hotel, Government and Banking. Industry-related search behavior accounts for 12.8 million searches each month. The fifth category finds job seekers looking for sources both online and brick and mortar. The preferred terms are Agencies, Fairs and Center. This behavior accounts for 5.6 million searches each month. The sixth category is location based searches, but at a broad level. They are using terms like USA, International and Canada. This accounts for 2.4 million searches a month. 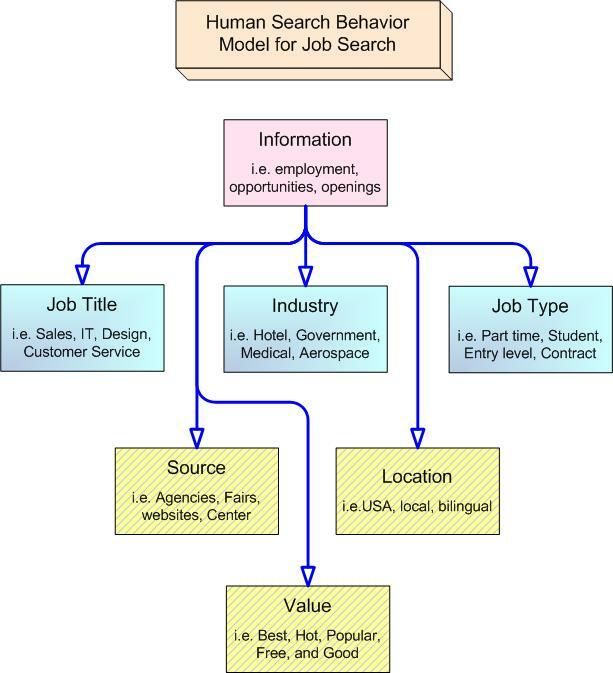 The final category is quality and value based searches where job seekers are using terms like Best, Hot and Popular. This accounts for 1.0 million searches a month. 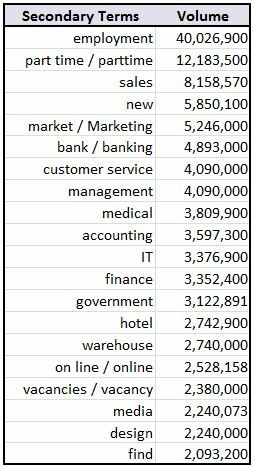 When you strip away the primary search phrase (Job Search Sites), and look at the secondary terms by volume, you see that job seekers are overwhelmingly using very few terms to modify their search string. The following list of 20 terms account for 80 percent of the monthly volume. Understanding how often these terms are being used provides you with the option to customize your content, and page copy to match user intent. This analysis, of course was based upon a single keyword phrase. Other phrases will likely produce models that are different, but may have similar categories with different Meta data. You really don’t know what you are going to find until you dig into the data.